I do a lot of training on elearning development and accessibility. 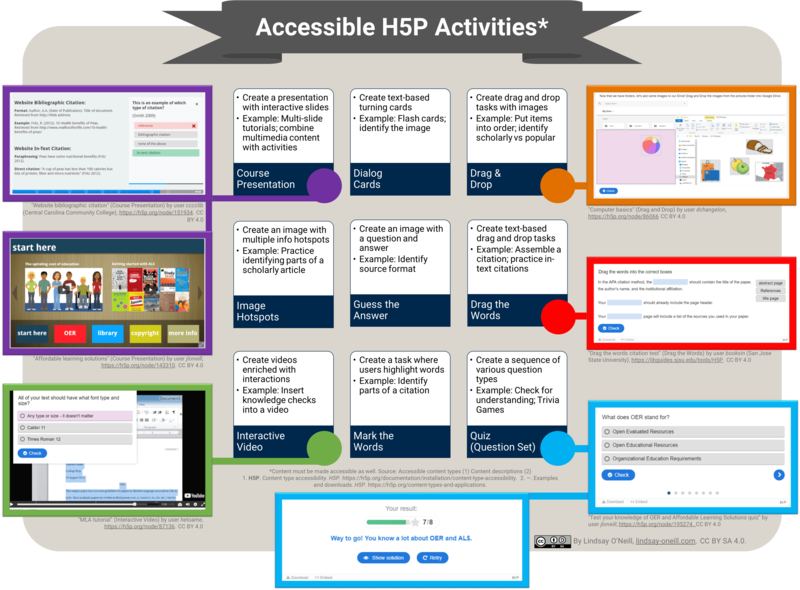 As a teaser for my poster session, here’s a shareable infographic on the H5P content types that are interactive and may be made fully accessible! Content must be made accessible as well. 1. H5P. Content type accessibility. H5P. https://h5p.org/documentation/installation/content-type-accessibility. 2. —. Examples and downloads. H5P. https://h5p.org/content-types-and-applications.